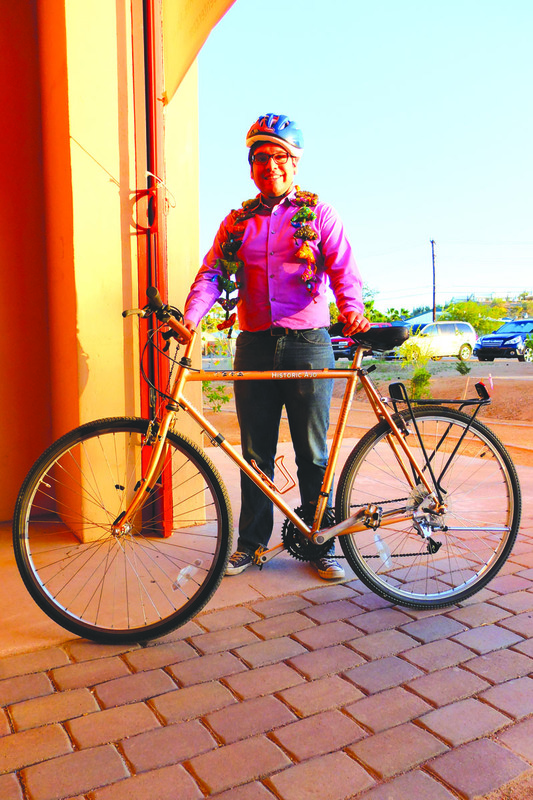 Home » Rocky Point Times » The Sonoran Desert Conference Center Celebrates One Year in Ajo! 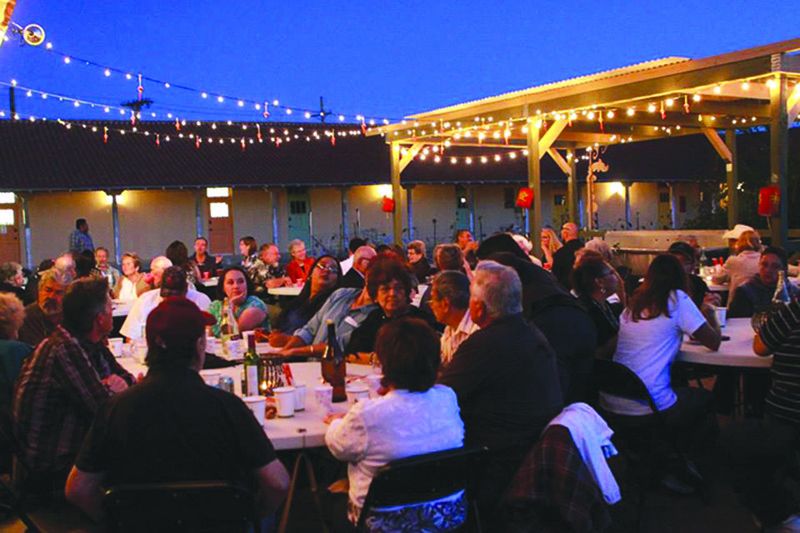 The Sonoran Desert Conference Center Celebrates One Year in Ajo! Last spring, we announced in these pages the opening of a new inn and conference center in Ajo. Its location – just north of Organ Pipe Cactus National Monument and under two hours from Rocky Point – make it a wonderful destination and an ideal stopping point for travelers to Mexico. Now a year old, this new business is thriving and growing every day. 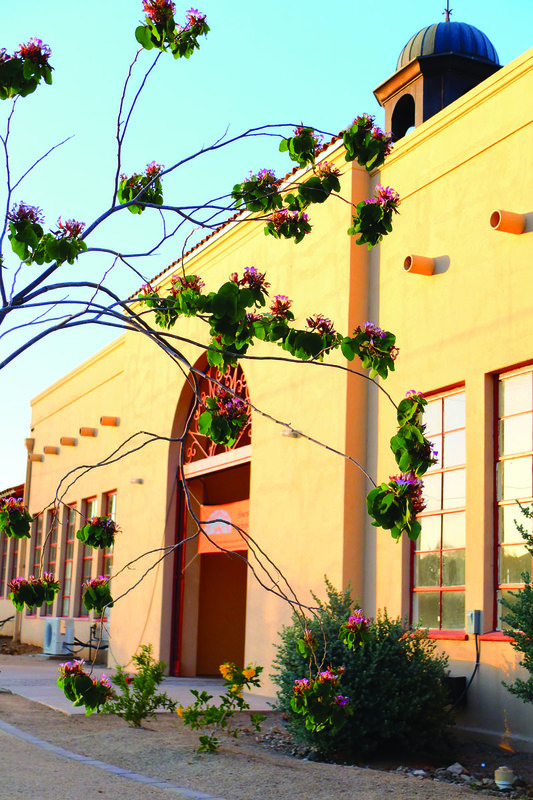 The Sonoran Desert Conference Center is located on the historic Curley School campus in Ajo’s historic center. 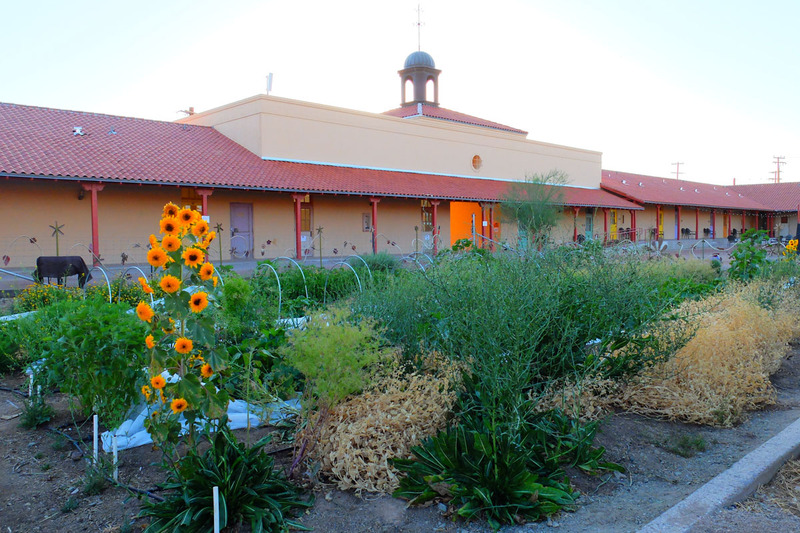 This former 1940s elementary school was brought back to life by the International Sonoran Desert Alliance (ISDA) and reborn as a venue for conferences, retreats, family events, and individual getaways. 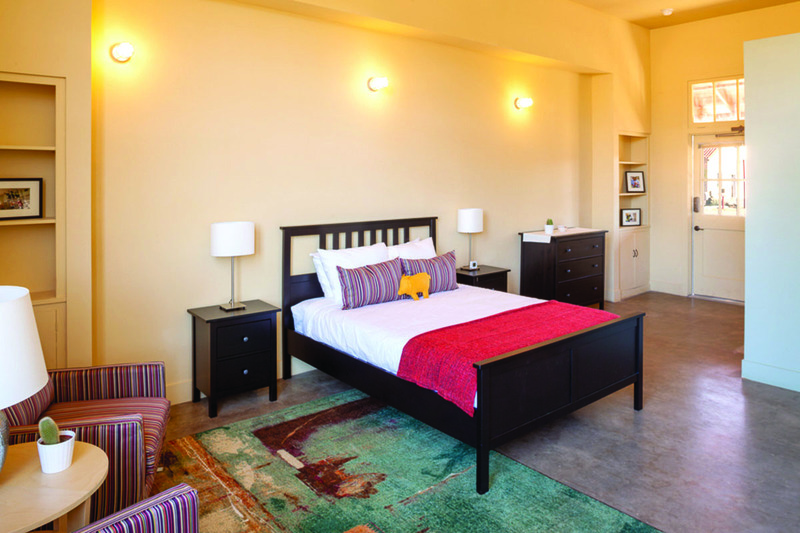 With 21 private guest rooms and two dorm rooms, the Center can accommodate groups from one to 50 guests. Travelers from Alaska to Florida and everywhere in between are raving. “The rooms and grounds are immaculate, the staff is extremely friendly, helpful and the surrounding desert is absolutely beautiful,” says recent guest Jane, of New York City. The Center has a full commercial kitchen, which serves as its catering facility, is available to rent, and hosts monthly cooking workshops. Groups can choose from a list of local caterers for meals or opt to eat in town at local spots like Oasis Café (try the Pima Club Sandwich), Marcela’s (get the chilaquiles at breakfast), or 100 Estrella (craft beers and perfectly juicy burgers). All are a short walk or drive from the Conference Center. The Conference Center staff, led by Co-Directors Stuart and Emily Siegel, have designed a menu of educational, cultural, and culinary options for guests, all centered around the unique environment of the Sonoran Desert and Ajo’s tri-cultural (Anglo, Mexican, and Tohono O’odham) community. 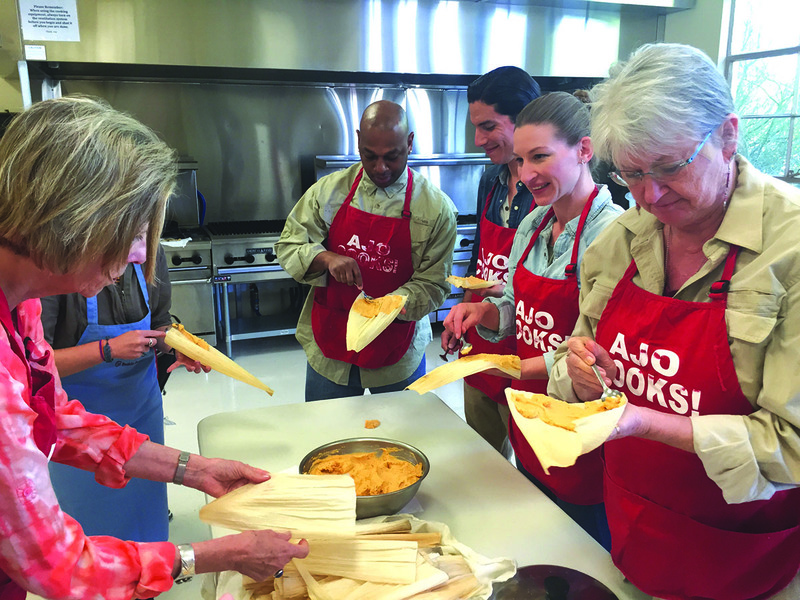 These include guided hikes, art classes, cooking demos, archaeological excursions, and walking tours of Ajo’s historic sites, gardens, and public art. 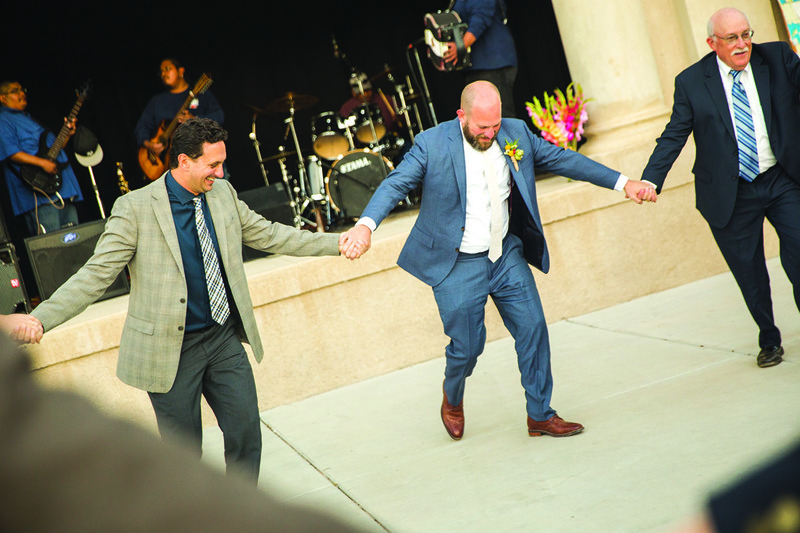 Over the past year the Conference Center has also earned a number of “regulars,” like Melba Gaillard of Phoenix, who was having a poolside conversation at a Rocky Point hotel when she learned about the new developments in Ajo. “Ajo!” she laughed, having never thought of Ajo as a vacation destination. But she was intrigued, and planned a stay at the Conference Center. Since that initial visit in November, Melba has been to Ajo five times. She’s become a V.I.P. in the clay studio, and a familiar face at Ajo’s Saturday Farmers Market. Visitors aren’t the only ones enjoying the Center; Ajoites are thrilled to see the transformation of their former school. “I was so excited and was looking forward see what has become of our old school…I couldn’t believe what I saw: our room was comfortable, cozy and clean, and room decor and bedding was beautiful!” says Debbie, of Camp Verde, AZ. And there’s another reason for locals to take pride in this addition to Ajo: much of the renovations were done by residents participating in ISDA’s Journeyman Apprenticeship program. The Center served as a job-training site, where apprentices worked side-by-side with local handymen to learn building repair and maintenance skills. The Conference Center serves as a great stopping point for southbound travelers to Rocky Point: stay overnight, avoid the evening traffic at the border, and head to the beach in the morning! 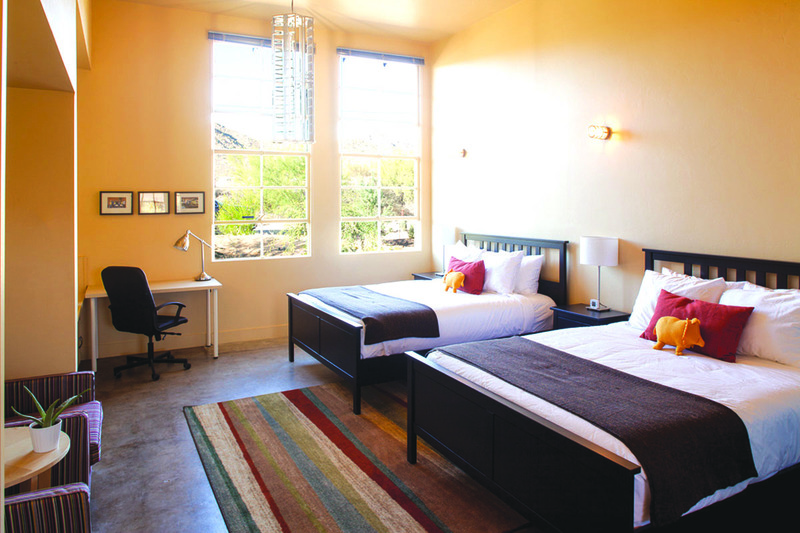 To learn more or book a stay, visit www.sonorancc.com or call (520) 775-2565. Guest room rates range from $85-105/night, with group discounts and special event pricing.